The 200 series LandCruiser is a tough beast but it does have some limitations. 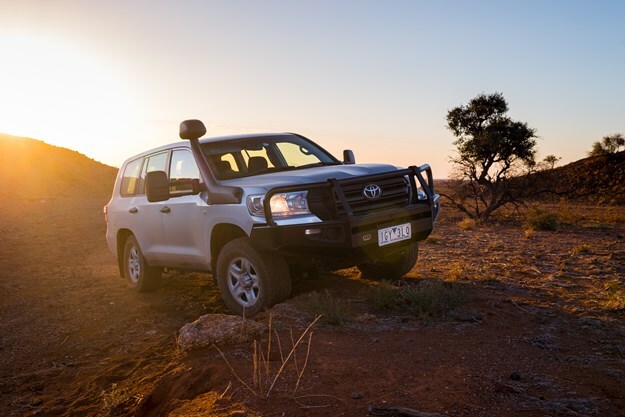 The rear of the 200 Series sits fairly low, especially compared to older LandCruisers with owners often complaining that the spare wheel spends a lot of time being dragged along the ground. Moving the wheel is an option but so is lifting the suspension which can also aid ability offroad through more suspension travel and more capable shock absorption. Pedders may have started life as a shock absorber specialist but are forging a reputation for doing great things for all parts under the car with TrakRyder suspension and brake kits one of the latest product groups. TrakRyder Suspension kits can come in different options for a massive range of cars; for the 200 Series there are three types, TOURING which improves ride quality and reduces body roll without major change to ride height (expect about 13mm) to EXPEDITION designed for those that tow and need a boost in load carrying capacity and what we had, OUTBACK that lifts the car around 50mm, up’s travel and articulation as well as load capacity and stability. The AL-KO 200 benefitted from the upgrade a lot. 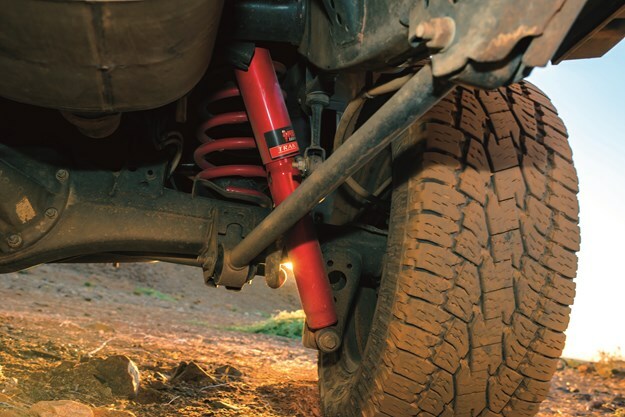 The bright red shocks from the OUTBACK kit took the big bumps and rocks with ease while the raised height gave it better clearance through the many washouts. The added load capacity will also mean the cars’ handling won’t suffer as much when extras like bull bars, under car armour and lights. Kits for the 200 start at $1,300 plus fitting and go up to $1,535 plus fitting for the OUTBACK.